Matt manages project estimating and safety programs for Slatter Construction. With more than twenty years of construction experience and an eye for detail, he knows exactly what it will take to get the job done. His job is to ask a lot of questions, track down information and establish a realistic budget that everyone can deliver to. Matt builds each project in his head as he puts the estimate together, making sure that there are no gaps between work estimates from subcontractors, that the amount of labor is appropriate and that all the finishes and hardware are included. Serving four years as a Yeoman on a Navy submarine reinforced work habits Matt grew up observing as the son of a Navy SEAL. In the Navy Matt learned the value of clear, concise communication and became hyper-organized. His ability to combine field construction experience with detailed planning and data management gives the company a competitive advantage in cost estimating and delivering projects on time and on budget. 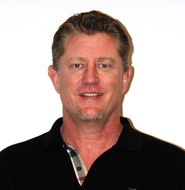 Matt’s career began at Reese Construction as a shop and yard employee in 1981. He became an apprentice there, and completed the program at Slatter Construction in 1986. After serving in the Navy, Matt returned to the business in 1990.